On Monday, one of your important appointments will be related to a woman with whom you will have a preliminary settlement, joint action, and more. This will be a good day to travel and to develop your contacts with people from different locations. Today, your friends will share important news and events from their private lives. In some cases, this may be a reason for a festive gathering. Today you will not take too seriously the troubles that will arise in your everyday life. You will leave them alone to find their solution. If you were born under the sign of Aries, Leo, or Sagittarius today, you will experience more emotional love or family problems. The day implies experiences connected with old or unrequited love. Monday will be a good day for conversations or commitments in the family related to money. Today, an unexpected profit or other monetary income is possible. If you were born under the sign of Taurus, Virgo or Capricorn on Monday, you will consider your own property or property decision. Today you are going to experience different events that will be developing by the end of the month. Avoid wasting time on things that do not matter to your development. If you were born under the sign of Gemini, Libra or Aquarius today you will be irritable and inclined to disputes about insignificant things. The reason for such moods may be a financial news. Whatever unpleasant happens to you today, the reason will be the need to realize your mistakes. By accumulating a new life experience, you can boldly go ahead. 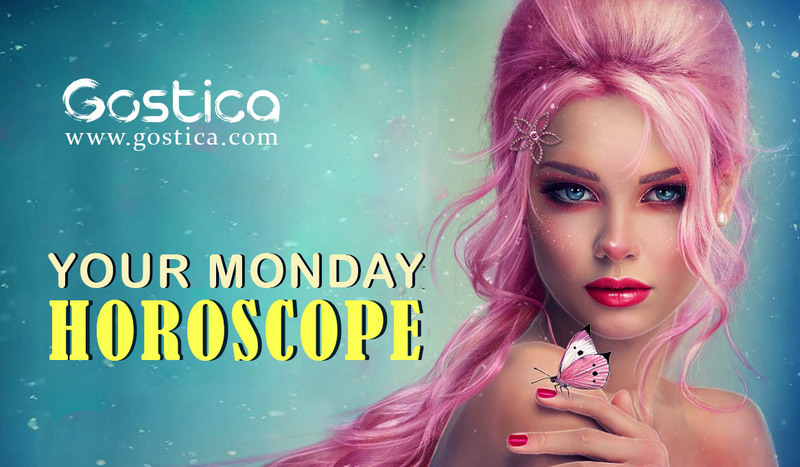 If you were born under the sign of Cancer, Scorpio or Pisces on Monday, concentrate on resolving conflicts or misunderstandings in your family. Some of you still have a tendency to worry about pregnancy, a child, or a young relative. On a professional level, you will be able to succeed, find new customers or new markets. May 14, 2018: Like a neon arrow flashing and sirens blaring, what you need to do today is terribly obvious. The fact is, if you’ve been waiting for a push to come to shove, your wait is over. Push has definitely grown into shove by now. You’ll be sure about your actions, but they might require you to step out of your comfort zone. It’s true: Being more aggressive or domineering isn’t easy. But it’s something you simply must do if you want to get somewhere (or get something started) with someone. May 14, 2018: Like a newly coronated ruler, you feel calm, confident, and in control today. You won’t take any guff from anyone –– although you don’t really have to worry about it since everyone will be completely charmed by your happy glow. Your positive attitude will be contagious! Overall, this day will be mellow, and any emotional outbursts will be more in the realm of uncontrollable giggle attacks than angry tirades. Everyone is content with where they are and what they’re doing. May 14, 2018: There’s just no telling how others will act today — there’s a lot of uncertainty in the air, so you should be prepared for anything. Some tough-talking authority figure might throw their weight around but resist the urge to call their bluff or question their proclamations. Doing so could backfire in a very unpleasant way. Instead, just step back from whomever or whatever pushes your buttons. Wait for things to get back on more predictable footing before you react. May 14, 2018: The pieces of a particularly vexing puzzle finally start to come together today — but whether or not you ever finish it isn’t terribly important. The answer won’t change your life. What is most essential is the act of solving and the process of understanding — so give yourself the gift of time to figure things out. Enjoy the act of asking questions, sorting through information and calling the results as you see them. Only you can share your unique perspective. May 14, 2018: Good news is coming out of the woodwork today — for you, your family, and your friends. There are new arrivals, happy announcements, and a few romantic developments coming together. You’ll have a hand in delivering some good news, so soak up the positive energy — store it away for a rainy day. You’re slowly understanding your current situation for what it really is, which is a good thing. You have nothing to worry about right now. Things may be quiet, but they’re good. May 14, 2018: This morning will be full of raucous energy, though it won’t necessarily be fast-paced or pressure-filled. Just hang on tightly until the excitement blows over (which should happen by midmorning). The rest of the day will be the calm after the storm, offering you a lot of quiet time to make some important decisions and get stuff done. There’s also going to be a fresh feeling to the latter part of the day. The morning storm will have washed away a lot of clutter and grime. May 14, 2018: Whether your strength is as a sprinter or a marathon runner, today you definitely have what it takes to go the distance. Don’t shy away from any type of challenge, no matter how out of your element you may feel or how risky the stakes may be. It’s time to just go for it — see how you handle a new situation. This is a form of self-education, and a wonderful way to show people what a good sport you are. You don’t need to prove anything to anyone, so just roll with it and see what happens. May 14, 2018: An artist doesn’t have to wait until all the paint dries to see how a painting is going to look, so today, when the writing is on the wall, follow its instructions. When you get a good idea of where something is headed, take the leap and make your boldest move. If you wait for every little detail to be confirmed, you may fall behind or even worse — you may miss the boat completely. Take a risk and act on a hunch. You won’t be disappointed by the outcome. May 14, 2018: There’s a larger-than-life personality giving you the eye today. They may be picking you out for a future partnership of some sort (romantic, business or social). Are they the type of person you want to align yourself with? Don’t let their flashy, sassy attitude blind you to their true nature. But at the same time, don’t assume that their boisterousness is hiding a great deficit in their character. Get to know them at your own pace, and decide when you have enough information. May 14, 2018: There’s nothing quite like good, hard, honest work to remind you of the value of a dollar. Today requires you to go through a lot of effort, and the payoff might leave you less than thrilled. But the actual work will be very enjoyable and could introduce you to some new people, who in turn could introduce you to some new opportunities. Put another way, your efforts won’t get rewarded with money — you’ll be paid in much more valuable ways. May 14, 2018: There’s an immense amount of bravery in facing what frightens or intimidates you, and this is what you need to do today. Try to find situations you would normally avoid — and be confident that you can handle them. After the first few seconds of an awkward situation, you’ll see how easy it is to be yourself and be content with your differences with others. Embrace what they have to say — once you understand them better, they won’t intimidate you so much. May 14, 2018: What you’ve been discovering lately — about yourself and how you relate to the people in your life — might be throwing you for a loop. But don’t give up, because this introspection is valuable. Forget about potential negatives and focus on the positive conclusions you can make, and you’ll find some key insights that could improve your most strained relationships. Pay attention to these new truths, because they aren’t going to change. They’re facts of life that you must learn to deal with.